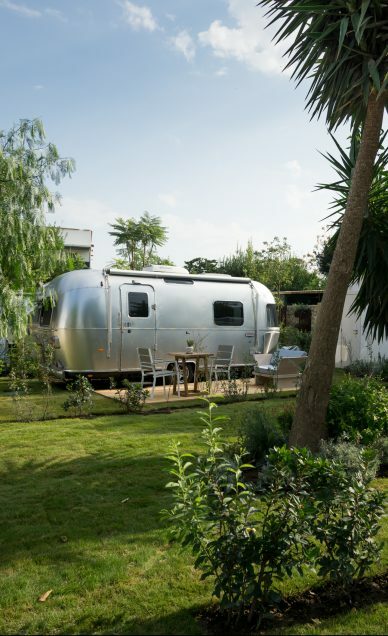 At our Airstream Park in Procida you can find one of the few Airstream 532 available in Europe and the only one in Italy. 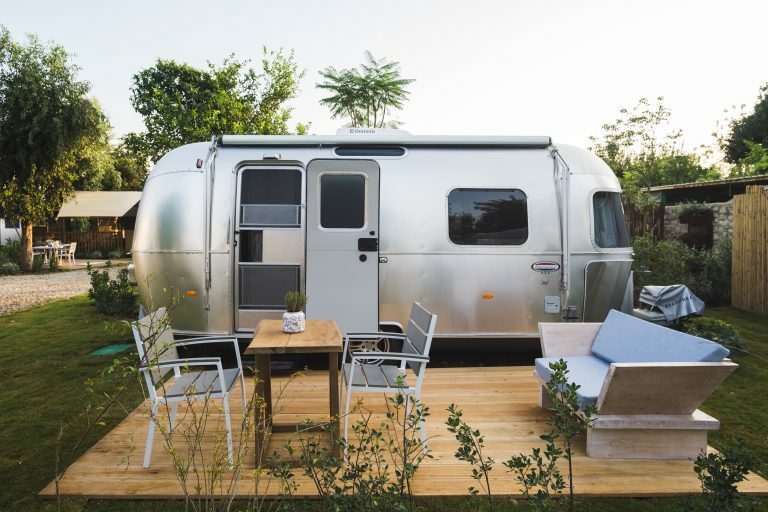 The Airstream 532 is one of the smallest model, but so compact and functional that it reveals itself as the perfect accommodation for 2 people. There is a living with two cosy sofa convertible in a comfy and wide double bed, that at your arrival will already be prepared to grant you relax and rest. 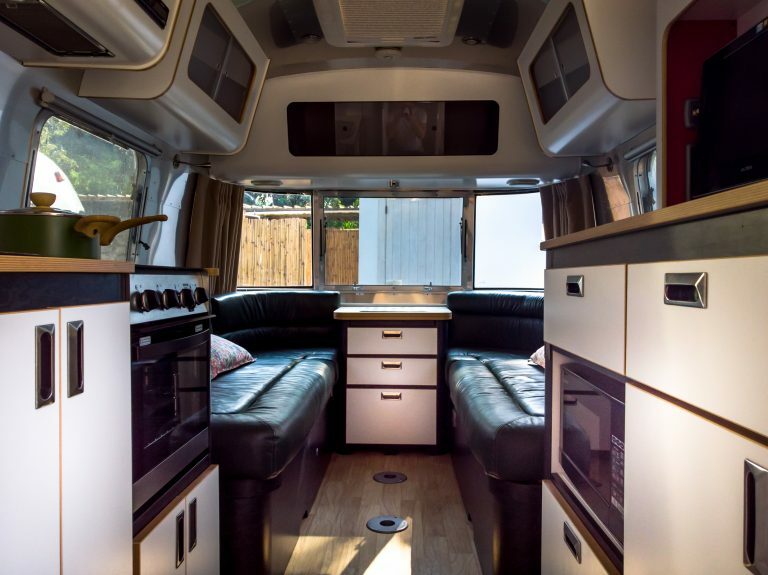 The Airstream 532 is organized with a functional kitchenette, a bathroom with shower and it is equipped with air conditioning system , curtains and mosquito nets. 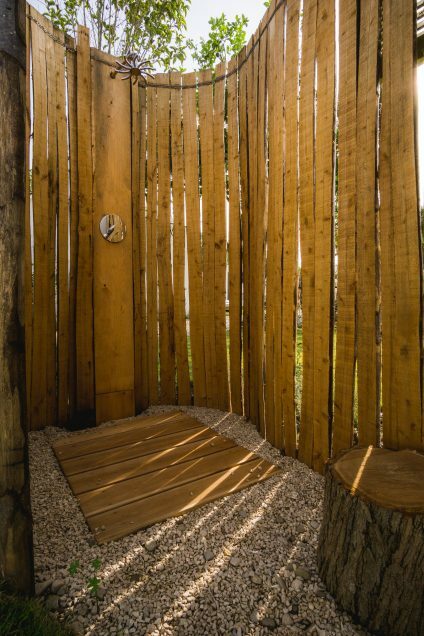 A wooden deck furnished with table and chairs will become an open air living and dining area, with a canvas awning to give you bit of shade even in the most sunny days. 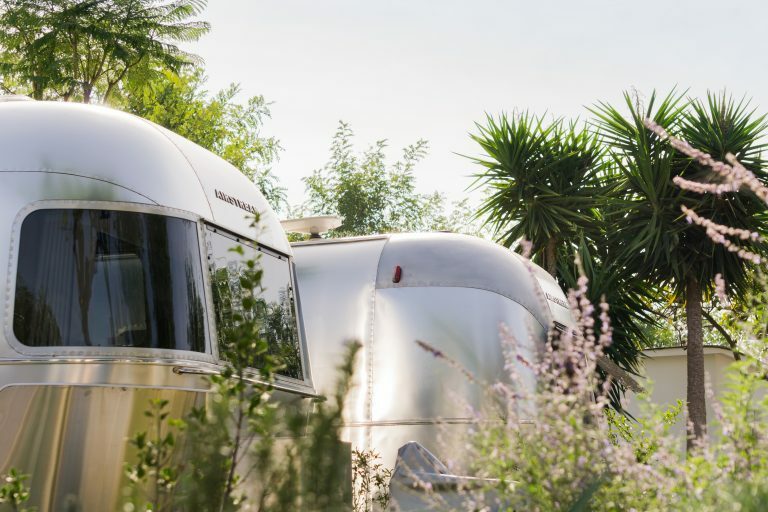 The guests of the Airstream 532 of Procida will also benefit of a nice and modern private and exclusive bathroom, with shower, toilet, washbasin and even an outdoor shower to cool down after a sun bath, really at two steps far from the caravan. All windows and the entrance door are equipped with mosquito net. Pillows, bed linen and towels are provided. A small kitchen equipped with gas stove (3 burners), washbasin, fridge and an espresso coffee machine to taste a real Italian coffee. Bathroom with toilet, small washbasin and shower.